LED lights are great. They can take your worship experiences to a new level by really setting the tone, or atmosphere in the room. 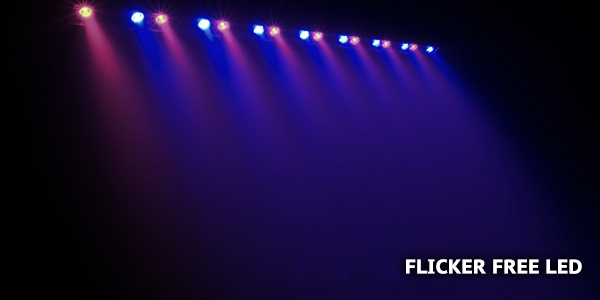 However, one thing to consider when purchasing LED fixtures is whether or not they will flicker on camera. If they do, say goodbye the that engaging atmosphere. Flickering is caused, in short, by the LED turning on and off at a rate that is out of sync with the frame rate of your camera. Think of what a TV looks like when you record it on your phone. This is the same effect, and you don’t want it on your screens on Sunday. Fortunately, there is such a thing as “flicker free” LED light fixtures, and if you currently use video, or ever plan to in the future, it would be a wise use of kingdom resources to purchase flicker free fixtures now rather than do it all over again later. Typically, you can go to the manufacturers website and figure out if your fixture is flicker free, but you may need to call them. So, if you don’t want it to look like ET is trying to phone home through your screens, invest in flicker free LED fixtures.